Majka (pronounced Mike-ah) proves age is no barrier when it comes to chasing your sporting dreams. Every now and then you might find Majka Kaszubski exercising at the gym or enjoying a nice meal at one of Warrandyte’s cafes. What you may not know is that she loves to sprint and she recently returned from the World Masters Games in Torino, Italy. The Masters is the most significant world sporting event for sportspeople aged over 30. 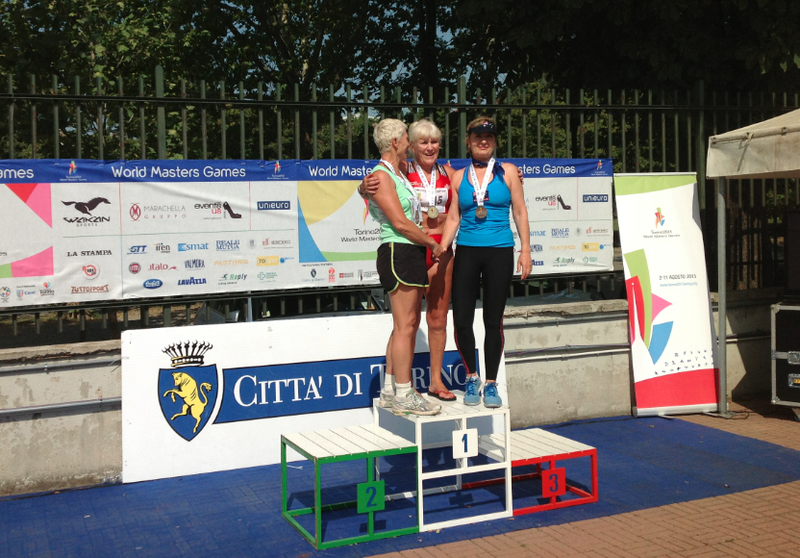 Majka competed in the Over 65’s athletics category and brought home two bronze medals for 100m and 80m hurdles. Majka, who was born in Poland but has lived in Australia since 1981, said she was thrilled to win the medals. However, she said they were just a bonus – the real prize being the fact that she achieved her goal to participate in and finish all of her events. “Two years ago I went to Poland and met some of my friends. Some of them were in their 60s and 70s and they’re still involved in sport and they told me that I’m quite fit and I should take part in the Masters – I thought ‘no I’m not really that fit’,” she said. But her grandchildren Dominic, Chloe Lee and Sebastian did athletics and encouraged her to give it a try. However, it was definitely no easy journey. Majka received injuries along the way – including her Achilles and hamstring. She said she was even in a lot of pain when completing her events – especially hurdles – but she said the support and encouragement she had received from her children, grandchildren and her husband Andrew, who coached her during the Games, inspired her to keep going. She told the Diary she wouldn’t have been able to compete without the moral support from Dominic and Chloe Lee, who came to Europe with her and urged her to push through the pain. Because of Dominic’s encouragement she gave him her medal she won for 80m hurdles because “it definitely belonged to him”. Dominic, 12, has a special place in his room for her medal. Majka said the atmosphere of the Games was fantastic, with competitors who she was running against in the same race being friendly, encouraging and supportive of each other. One of the main reasons Majka wanted to compete, despite not running in such an event for 45 years, was because she wanted to re-live the memories of her youth. Her father, who was quite sporty, noticed his young daughter was very gifted at athletics and encouraged her to continue in her teenage years. As a young adult, Majka went on to run for the Polish national academic team. They didn’t travel much internationally back then, as Poland was a communist country, but the team travelled to various cities within Poland to compete in different championships and competitions. Majka was born in Wroclaw – a historic Polish city close to the German border. 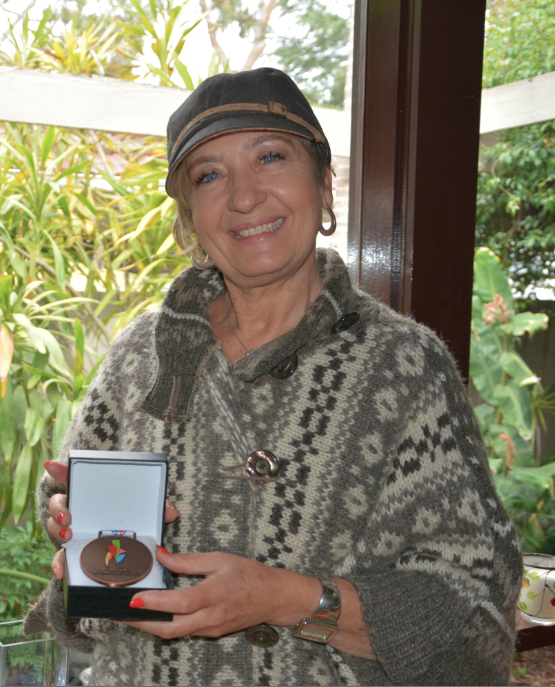 Majka lived with her husband and young children in Iraq and Germany before deciding to start a new life far away from communism and moving to Melbourne in 1981. Since coming to Australia, Majka was a PE teacher at Upper Yarra Secondary College and although retiring from teaching full time five years ago, she still does some emergency teaching for Norwood Secondary College and supervises VCE language exams. Majka’s next goal is to run as fast as she did when she was in her 20s. She intends to join a local athletics club and return to the next summer Masters Games in New Zealand in four years’ time to improve her results. She hopes she will be able to take the whole family over to compete – including her daughter, Alex, who is good at a range of sports and her son, Andrew, who is currently “mad about cycling”. Majka said she felt it was extremely important for her to stay healthy and active and encourage her family to do the same. She also encouraged others to realise it’s never too late to give sport another try and said it would be fantastic to see even more Australians at the next Masters!